How can this be practical? One of the greatest mysteries of the animal world – why giant pandas are black and white – has been solved by biologists. The pandas have particularly bold markings, which don’t look like very practical camouflage. But scientists collaborating at the University of California and California State have finally worked out why the bears look the way they do, and it turns out it is partially down to blending in with their surroundings. 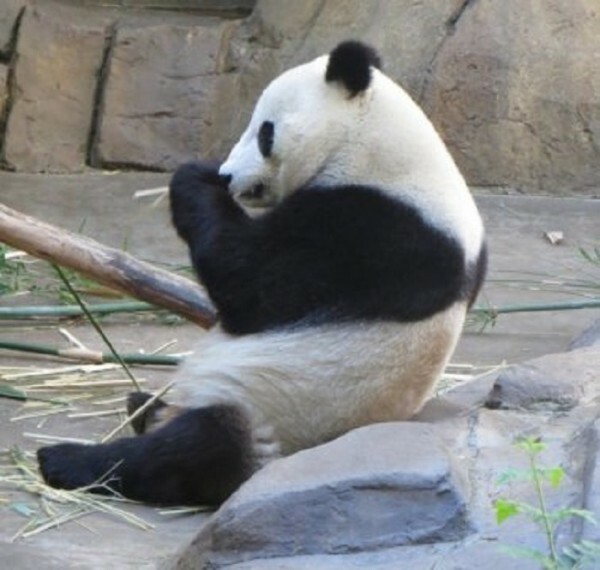 Because they can’t get enough fat from their poor, bamboo-rich diet to hibernate, pandas are forced to survive in multiple habitats which can include snowy mountains and more tropical forests. Their faces, necks, tummies and backsides are mostly white, allowing them to hide in the snow. But their black arms and legs also let them blend in with shadier forest surroundings. Darker facial colouring could help with communication, with black ears against a white face scaring off potential predators (even though it’s hard to think of an animal less threatening) and dark eye patches helping them recognise each other. The scientists solved the puzzle by looking at giant pandas and colour grading each area of their bodies. Then they compared this information to that of other species, including 39 other bear species and 195 carnivores, as well as these animals’ varying behavioural traits. And this is something of a specialist subject for Professor Caro, as he was part of the team that discovered why zebras are black and white too (it’s to repel flies). Their latest research has been published in Behavioural Ecology. Previous article Quiz: Which Crufts category should you enter?